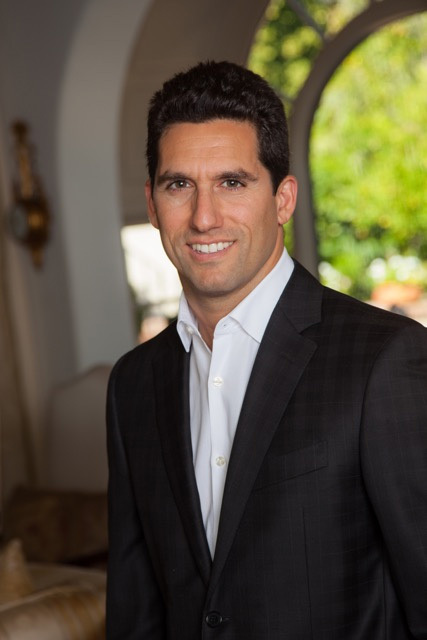 Born and raised in Beverly Hills, Calif., Michael Nourmand has spent his entire life surrounded by luxury real estate. A second-generation broker, his parents Myra and Saeed founded Nourmand & Associates, a boutique, family-owned and -operated luxury real estate firm. Now president of Nourmand & Associates, which ranked No. 318 in sales volume in RISMedia's 2017 Power Broker Report, Nourmand has been heavily involved in his family's business from a young age, obtaining his real estate license in 2000 and his broker's license six years later. Nourmand has gone on to sell some of the most competitive listings in Los Angeles and has been recognized for his work by several national and regional publications, including REALTOR® Magazine and the Los Angeles Business Journal. We wanted to speak with Nourmand about the current state of the luxury real estate market as it pertains to not only LA, but the country at large. Here, Nourmand discusses the current trends and concerns to be had in luxury real estate, as well as how he got his start in such a high-stakes market. What first got you interested in the real estate industry? As a kid, my parents sometimes discussed real estate at the dinner table. My siblings thought it was boring, but it quickly became apparent that I was very interested in it. Right after I finished high school, I got my real estate license, and during a summer in college, I did some administrative jobs at the office. My dad thought it was a good idea for me to learn the business from the inside out, establish relationships with our agents and pay my dues. My last summer before I graduated from the University of Southern California, I started brokering deals. By the time I graduated, I had closed three or four deals. What has been your biggest win as a broker? Selling the compound at 1016 N. Hillcrest in Beverly Hills, Calif. That was an extremely competitive listing, which we won, and I got to co-list the property with my childhood friend and colleague Trevor Levin, as well as my business partner Adam Sires, who I met in Hebrew School. What has been the most common obstacle you've run into with homebuyers? Right now, there is very limited inventory, so it's hard to find buyers a home to purchase. Another challenge is buyers having to sell their current home to buy their future property. It's extremely hard to make this work when some of your competition can waive contingencies and pay cash. What advice would you give an agent who is trying to break into the luxury market? Your best bet is working with developers. Most developers will work with anyone that brings them the deal, and they often sell the property with the same agent. Another option is to bring in an experienced agent if you have a lead. My mom, who has always been one of our top agents, helped me land several deals over the years. It's better to get half of the deal and build your resume than come up empty-handed. Speaking to the luxury market in general, what are some creative ways homebuyers finance their purchases? Rich clients tend to have complicated financial pictures. I've had clients that have borrowed money against their stock accounts to pay cash to buy a home. We even had a $10 million-plus deal where my client's employer co-signed for the mortgage so he could buy the house. What's the biggest quirk you've encountered when dealing with this sort of clientele? The number of people required to approve a deal. I represented a buyer several years ago and it required the approval of about five people. It started with the wife, mother and brother. Then I had to get approval from the husband, and then during the contingency period, one of the husband's business partners had to come give his blessing—and this was before we even started inspections. How have you seen families help their children get a foothold in the luxury market? The most common scenarios I've seen are families paying for their kid's home with cash or paying for the down payment and the son or daughter makes the monthly payment to the bank. Also, families co-signing the loan so their kid qualifies for financing is common. What do you predict will be the top luxury real estate trend in 2018? 2017 was a record year for high-end sales. I'm not convinced that 2018 will be a new record, but I think the luxury market will be strong. Unique homes in great locations that are priced fairly will continue to sell. The top trend, which has already begun, is realistic sellers continuing to sell their property and unrealistic sellers continuing to fish for crazy prices. Shifting to the new tax bill for a moment—how do you believe it will impact the luxury market? Making it more expensive to own a home is a negative, but I don't think the tax bill will throttle the market. There is limited supply and a lot of demand. LA is the complete package, which is part of the reason prices have gone up so quickly here. Where do you hope to be in your career five years from now? Pound for pound, Nourmand & Associates dominates the luxury market, and I hope to be one of our agents that continues leading the way. Why not It is Great to achieve new heights in life. The real estate market is always at boom, fluctuations are part of every business. Keep Moving do new things keep motivating yourself as this is the life.